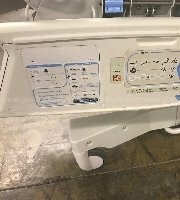 Online auction ends March 2, 2018. 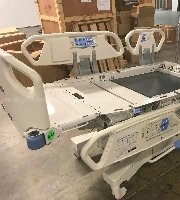 For auction a lot of 52 Hill Rom Hospital Beds Model P1900 4788-4060 all are listed in fair condition. 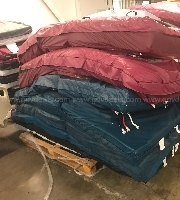 The auction includes the mattresses to complete the bed. 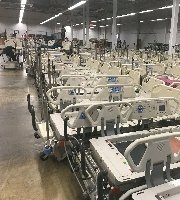 These beds were just retired From Ohio State Medical Center on the OSU main campus. Pickup hours for these beds will be strictly enforced to the hours of 8 am- 4pm M-F (no weekends). Pickup must be scheduled 48 hours prior to pickup. 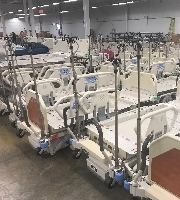 Winning bidders must bring help to load as Ohio State employees will not assist in loading. If payment is not made within 7 days of winning the auction you will be defaulted and locked out. There is a full size dock available to assist in loading.